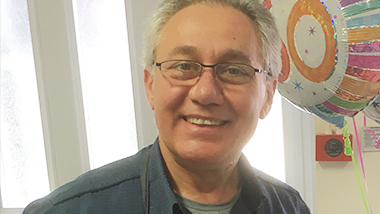 Marco Matathia is the resident luthier at the Benslow Music Instrument Loan Scheme. He works on Mondays and Tuesdays in the Loan Scheme workshop. Marco trained as a violinist in Albania where he was born. His love of instruments inspired him to leave Albania in 1991 and to come to England. He settled in Nottingham where he learned the skills needed to become a luthier. In addition to working at Benslow, Marco has his own business, The Sound of Violins, which is now based at his home in Milton Keynes. He also works for Chiswick Auctions in London, assessing and preparing instruments for sale. Marco is available to string players attending courses at Benslow Music. Please contact Marco to organise an appointment in advance.